Workshop with Leica in London. 21st October 2017. Mastering Light with a Leica M - workshops with José Sarmento Matos at Leica London City Store. Workshop with Leica in London. 28th April 2018. 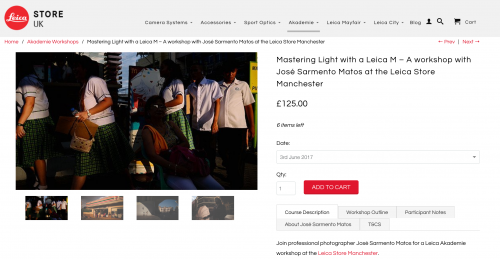 Workshop with Leica in Manchester. 3rd June 2017. Mastering Light with a Leica M - workshops with José Sarmento Matos at Leica Manchester store. Workshop with Leica in London. 11th June 2017. 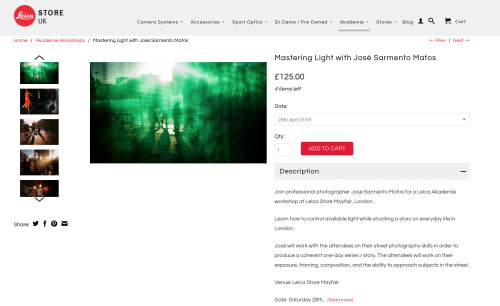 Mastering Light with a Leica M - workshops with José Sarmento Matos at Leica Store City, London. Workshop with Leica in Sheffield. 28th January 2016. 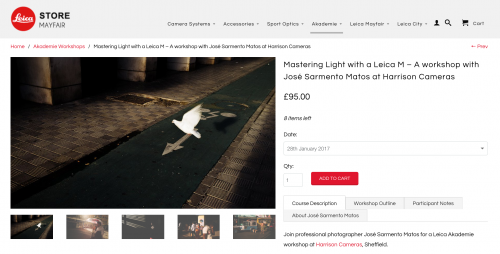 Mastering Light with a Leica M - workshops with José Sarmento Matos at Harrisson Cameras, Sheffield. Workshop with Leica in London. 2nd December 2016. 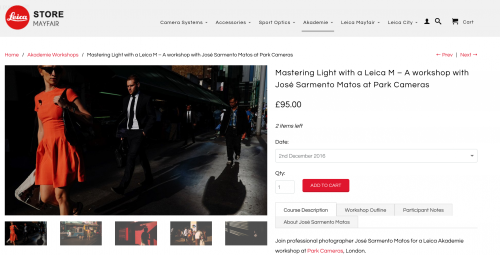 Mastering Light with a Leica M - workshops with José Sarmento Matos at Park Cameras, London.